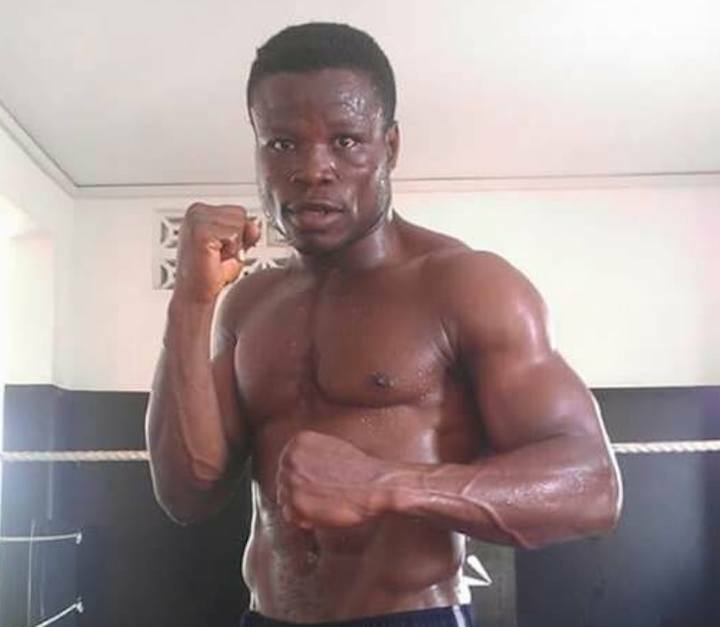 Ghana based Togolese boxer, John Koudeha remains focused on his bid to make history in faraway Australia this Saturday when he fights outside Ghana for the first time in his professional career. Undefeated Koudeha (11-0, 10 KOs) is still waiting for confirmation of his visa before beginning the long journey around the world to face Australia’s Kerry Foley (18-3-1, 15 KOs) for the WBO Trans Oceanic Super Middleweight belt at the Seagulls Rugby League Club, Tweed Heads, New South Wales on May 26. Another Ghanaian, Peter Ato Ricketts (17-2, 11 KOs) fights for the vacant IBF International light heavyweight as well as the vacant WBA Oceania light heavyweight belts against Reagan Dessaix, also of Australia on the same bill and despite the question marks over his visa with barely five days to fight night, Koudeha knows just what it will mean to his career to fight and secure the victory down under. “As a matter of fact, I’m still optimistic as I have always been as a boxer even though the process is a little getting on me. But if eventually the fight happens, it’s going to be a 12-0 for me, either tough, easy, I’m certain of victory,” Koudeha told this writer in Accra. “We will make a great fight but I will show him what African Mike Tyson is made of. I don’t really have a long section of training camp but my fitness is always guaranteed so with my little preparation I am ready,” the 27 year old added. Fully in support of his ward and confident of victory is Mitch Woolams, CEO of Ghana based Aborigines Promotions who also doubles as manager of Koudeha. “John is always ready, he is a boxer who we believe needs an opportunity to announce his true potential to the world. We have no doubt that he will win this fight and go on to win the world title within a very short time,” Mr. Woolams said. “We just hope he gets his visa on time to make the trip and no matter the impediments in his way, he will still win this fight in Australia. He has my full support,” Mitch Woolams stated.